There are certain things with all the tools you use that you won’t know even after using it for a long time. And once you know it you are like “I wish I knew this before” as you had already told your client that it can’t be done in any better way 🤦🤦. 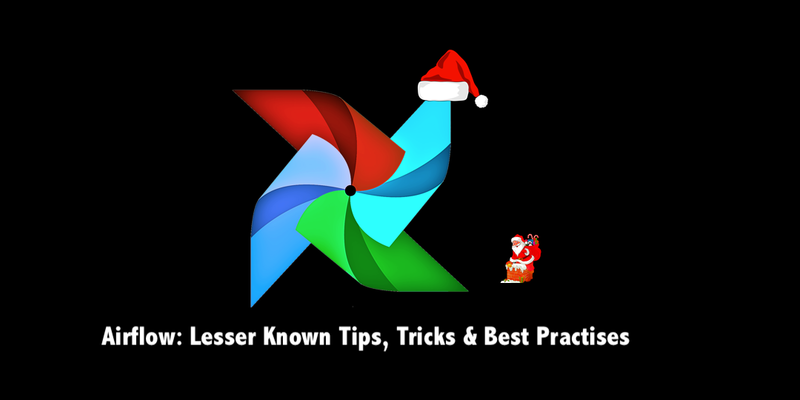 Airflow like other tool is no different, there are some hidden gems that can make your life easy and make DAG development fun. You might already know some of them and if you know them all — well you are a PRO then🕴🎩. The example (example_dag.py file) above just has 2 tasks, but if you have 10 or more then the redundancy becomes more evident. To avoid this you can use Airflow DAGs as context managers to automatically assign new operators to that DAG as shown in the above example (example_dag_with_context.py) using with statement. 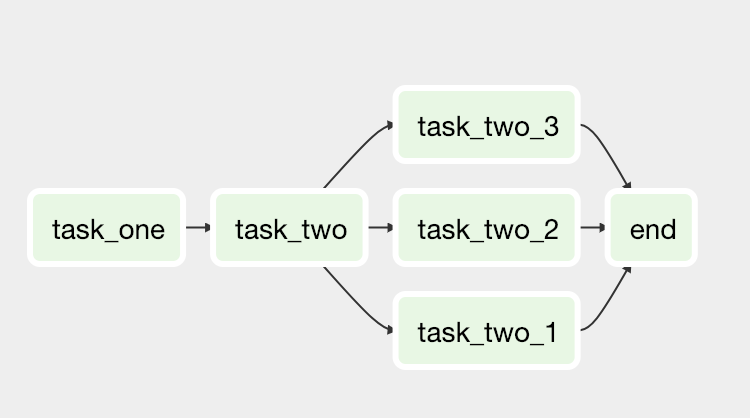 When you want to create the DAG similar to the one shown in the image below, you would have to repeat task names when setting task dependencies. As shown in the above code snippet, using our normal way of setting task dependencies would mean that task_two and end are repeated 3 times. This can be replaced using python lists to achieve the same result in a more elegant way. Airflow allowing passing a dictionary of parameters that would be available to all the task in that DAG. For example, at DataReply, we use BigQuery for all our DataWareshouse related DAGs and instead of passing parameters like labels, bigquery_conn_id to each task, we simply pass it indefault_args dictionary as shown in the DAG below. This is also useful when you want alerts on individual task failures instead of just DAG failures which I already mentioned in my last blog post on Integrating Slack Alerts in Airflow. “params” is a dictionary of DAG level parameters that are made accessible in templates. These params can be overridden at the task level. It makes it easy for you to write parameterized DAG instead of hard-coding values. Also as shown in the examples above params dictionary can be defined at 3 places: (1) In DAG object (2) In default_args dictionary (3) Each task. Most users are aware of this but I have still seen passwords stored in plain-text inside the DAG. For goodness sake — don’t do that. You should write your DAGs in a way that you are confident enough to store your DAGs in a public repository. By default, Airflow will save the passwords for the connection in plain text within the metadata database. The crypto package is highly recommended during Airflow installation and can be simply done by pip install apache-airflow[crypto]. Airflow Variables are stored in Metadata Database, so any call to variables would mean a connection to Metadata DB. Your DAG files are parsed every X seconds. 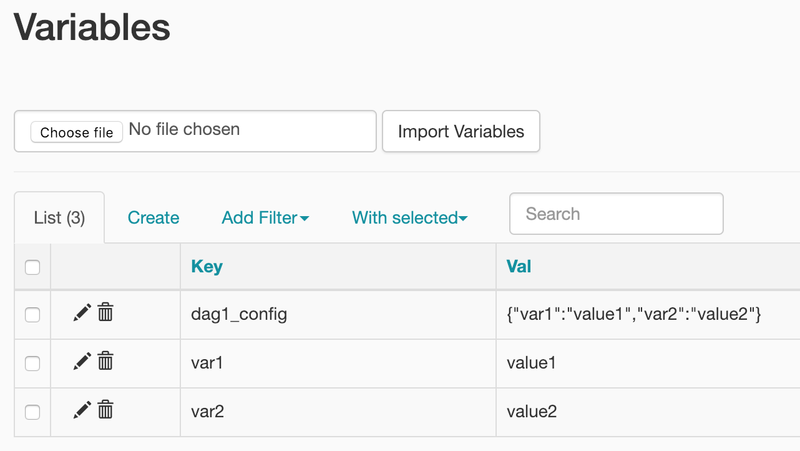 Using a large number of variable in your DAG (and worse in default_args) may mean you might end up saturating the number of allowed connections to your database. Users often forget the contents of the context dictionary when using PythonOperator with a callable function. The context contains references to related objects to the task instance and is documented under the macros section of the API as they are also available to templated field. Thanks to Ash Berlin for this tip in his talk in the First Apache Airflow London Meetup. 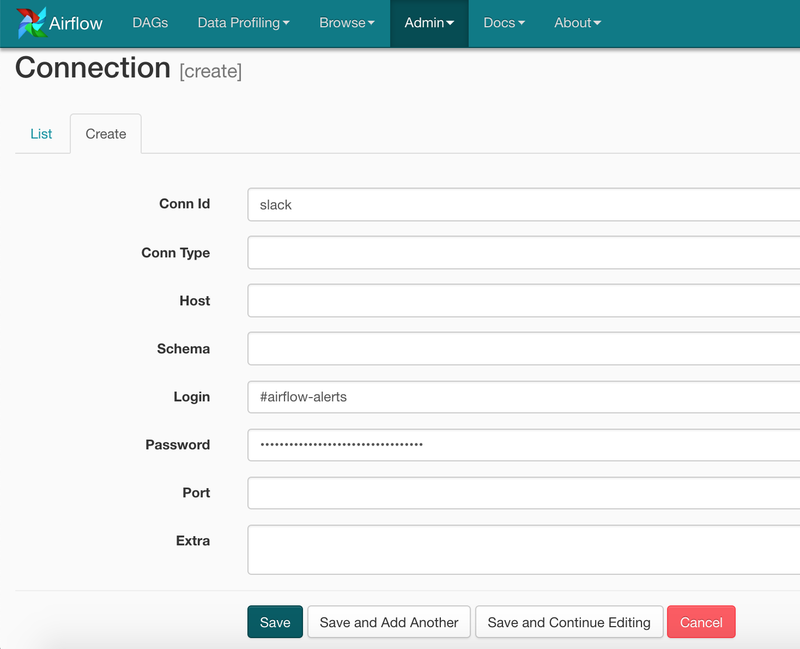 airflow initdb will create all default connections, charts etc that we might not use and don’t want in our production database. airflow upgradedb will instead just apply any missing migrations to the database table. (including creating missing tables etc.) It is also safe to run every time, it tracks which migrations have already been applied (using the Alembic module).